The Butuan City Water District (BCWD) recently activated its by-pass pipeline to be able to temporarily draw water from the Taguibo River. The water drawn from the Taguibo River passes through the 2 units Automatic Brush Filters before going to the 7 units Automatic Microfiber Filters. After the water has been filtered, the water will then be disinfected by means of Chlorination to make sure that harmful microorganisms will be eradicated from the water. Upon completion of Chlorination, the treated water will then be distributed through the transmission lines for consumption. 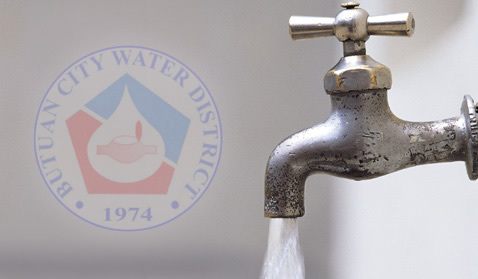 BCWD's recent tests show that the water provided to its concessionnaires remain safe and potable as it always has been. Water quality testing is always conducted through the different sampling points all over Butuan City to ensure that the quality of water being delivered meet the standards set forth in the Philippine National Standards for Drinking Water (PNSDW). The BCWD always takes the quality of its water very seriously and is doing every possible way to ensure that the water being delivered to its concessionnaires is potable.